Hiephoa Equipment of Environment & Trading Co., Ltd was established in 1996. The first name of the company was Hiephoa Trading Co.,Ltd. Moving on from manufacturing simple products such as equipment and protective clothes for environment sector, Hiephoa has grown rapidly and extended the business to various sectors. 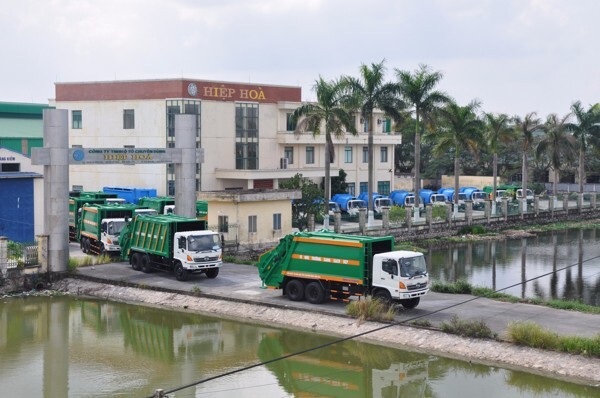 Hiephoa is also a trusted provider of different organizations which belong to Ministry of republic security such as: General Police Department, General Logistics Department and Fire Department. We have been providing special vehicles such as firefighting trucks, ambulances, armored car, anti-riot vehicle, rescue truck. Hiephoa is a member of Vietnam Environment Association. We play a positive role in activities of the association. We have built close relationships with the companies of urban environment in many cities and districts in Vietnam. For over 10 years, Hiephoa has been providing more than hundreds of special vehicles. We are the regular partner of the clients who work in the environmental industry. Whoever you are, Hiephoa always strives to provide high quality products and the bestspoke service. Our ultimate goal is building and maintaining the trust from the clients and partners. Established Hiep Hoa Trading Company and Mechanical Mill at Hanoi, Vietnam. Construction Hiephoa Garment Factory at My Hao, Hung Yen, Vietnam. Opening a branch office in Ho Chi Minh city. Becoming an official agent of MORITA CORPOTATION which provided fire and rescue vehicle. Made joint venture with Morita (Japan) on manufacturing and trading fire and rescue equipments and vehicles in Vietnam. Construction of factory with area of 60,000m2 at Minh Duc, My Hao, Hung Yen, Vietnam. Morita Vietnam Co., Ltd ( a venture between Hiephoa and Morita group) was established. Inauguration of High technology centre for manufacturing precision engineering products. Completing and operating factory and new office in Hung Yen. 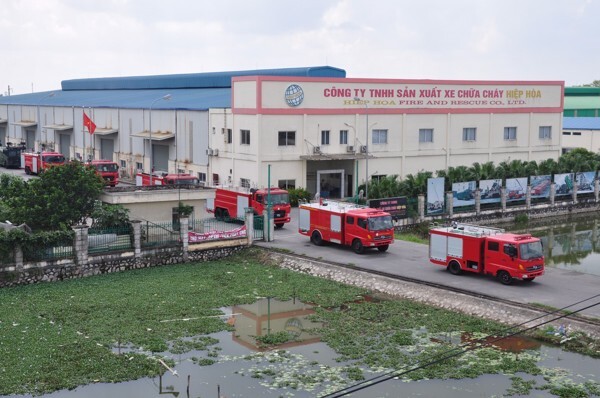 In May, purchased all shares of Morita at Morita Vietnam Company and changed name of Morita Vietnam Company to Hiep Hoa Fire and Rescue Company Limited.